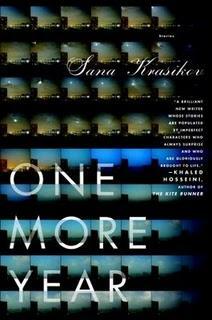 Sana Krasikov, in her first published collection, brings a filling and current group of short stories, and in them, creates honest characters whose interactions cannot be forgotten. Dramatic and awful at times, desperate and sparse, the stories move through time as each day does. Eagerly, you turn the page, hoping for the best, but you see it doesn't always happen. As a graduate of the reknown Iowa Writers' Workshop, Krasikov sounds like Raymond Carver at times: despairing and hopeless with a sliver of brightness that develops through clear storytelling. Capturing fond emotion and likening the everyday uncomfortable human element of strangers, the author leaves no image unseen. Reflecting the roots of Krasikov's life, characters often originate from both the Ukraine and the Soviet Republic of Georgia in recent times and are transplanted to the East Coast of the United States. In developing characters, she juxtaposes and successfully conveys the understanding and assimilation of the Western lifestyle, which proves trying for the immigrants. Necessity for survival exists as uncertainties prevail. Somber and gray, dirty and stark, stories often involve senses of infidelity and mistrust by confused working souls. In addition, they present a weaving of passionate and determined people holding high expectations of relatives believed to be just as compassionate, but who are confused, real, and imperfect. In "Asal," the main character encounters her husband's mistress and the reader is left to wonder how she can interact with her so sensibly, witnessing the heated conversation of the deteriorating relationship. Often, family members add backstory and a thicker fabric of life to the stories. The images Krasikov creates demonstrates her eloquent mastering of the craft. As a reader, you feel her images striking deeply, and you need to breathe after each story because you completely witness the heated banter or grevious silence between characters. The author leaves no point unseen and no character untouched. As the reader, you exist among the characters and feel the ambiance conveyed through remarkable definition. Read this collection and go for a walk. Appreciate the world around you because One More Year definitely becomes a part of you. You take it with you wherever you go.